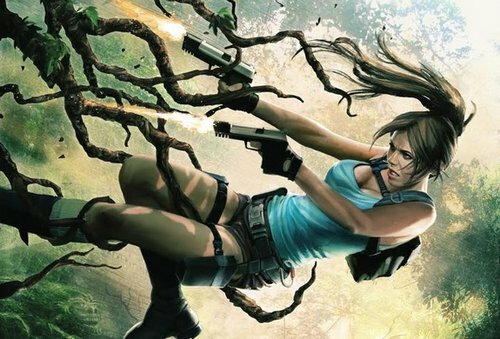 With a new Lara Croft comic from Dark Horse announced, depending on its success, I wonder who will take up the mantle of the character if they move forward with new movies based off the new title? Lara Croft® is back with dual pistols, sharp wit, and an eye for action as acclaimed writer Corinna Beckho takes on the video game icon in Lara Croft and the Frozen Omen this October. Based in the same universe as the Lara Croft and the Temple of Osiris® and Lara Croft and the Guardian of Light® video games from Crystal Dynamics, Lara Croft and the Frozen Omen is a five issue miniseries written by Bechko and illustrated by Tomb Raider® comics veteran Randy Green. In this all-new adventure, Lara must stop a group of cultists from causing world-wide cataclysmic devastation, and ancient ivory artifacts hold the key to both salvation and destruction! It’s a race against time in Lara’s new quest, filled with incredible action, dual pistols, and non-stop adventure.